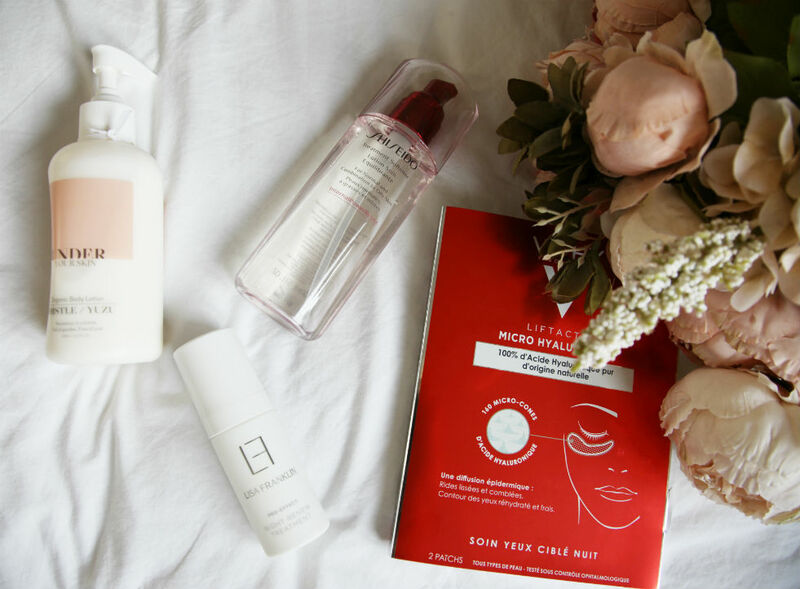 This has been highly requested article and you were keen to find out more about my current skincare routine. As an influencer who is trying lot of new launches my skincare routine changes a lot and I believe it is good. I always say it is like a workout routine. You need to change it after some time to get better results. What you see here have been my core products I have been using in the last few weeks however it does not mean that I don’t swap a product here and there for few days to tailor it to my needs. I also use face masks, night cream and so on. After so many years in the industry and also trying out different brands you soon learn that cleansing is so important. The cleaner skin the better and you really see that. If I have just two nights in a row when I only do one step cleansing I can see it. I get breakouts and my skin is far from radiant. I use mostly two Shiseido products to remove my makeup and clean my skin. You probably saw both of these in my video of the best products of 2018. 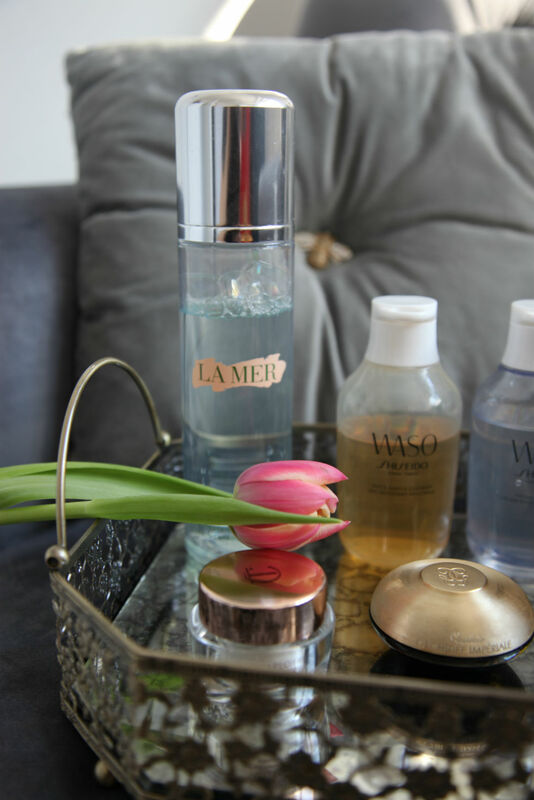 As an extra touch for cleaner skin I use the La Mer micellar water which is a beautiful product. I love the smell, I love how delicate it is and how it looks. As you may know I am a lover of Retinol and around 3 times a week I am using these Retinol drops by Rodial. I recently had an amazing luxury Rodial facial and was told that the percentage of retinol is not that huge in this product that I can easily increase it. However I am sticking to three as on other days I am using this fab product by Murad. This serum really grabbed me after I hear so much about it. Well this is pretty much the core summary of what I use and hopefully you find anything interesting you would love to test yourself. Tohle byl velmi zadany clanek a vetsina z vas chtela vedet jakou pouzivam kosmetiku a jaka je moje soucasna rutina. Jako influencer zkousim neustale nove znacky, nove produkty a moje rutina se casto meni. Je to zkratka tim co delam, ale i verim v to, ze kosmetika se ma menit. Stejne jako cvicebni program…nic nefunguje vecne a jakmile si vase telo zvykne je obcas treba veci trosku zmenit. To co tady vidite neni vsechno, ale jsou to takove zakladni produkty se kteryma jsem byla v posledni dobe spokojena. Obcas mam dny, kdy si urcity produkt zmenim podle potreby, ale takto nejak to asi vypada. Po tolika letech co se pohybuju v oblasti mody a kosmetiky a vyzkousela jsem nespocet znacek jsem zjistila, ze zaklad je opravdu v ciste pleti. Cim vice kroku na ocisteni..tim lepe. Ja casto pouzivam tyto dva produkty od Shiseido a to k odstraneni makeupu a ocisteni pleti. Oba jste asi videli v mem videu Oblibene produkty roku 2018. A k ocisteni take pouzivam i micelarni vodu od La Mer, coz je uzasny produkt. Je tak delikatni a navic skvele vypada. Mam take moc rada produkty s Retinolem a asi trikrat v tydnu si pridavam do me rutiny tyto kapky od Rodialu. Nedavno jsem mela moznost vyzkouset uzasnou kosmetiku/facial s produkty Rodial a bylo mi receno, ze obsah retinolu v kapkach neni tak vysoky, tak jej muzu pouzivat casteji. Ja ale rada v ostatni dny pouzivam uzasne serum od firmy Murad. Na to jsem slysela samou chvalu a jsem unesena po par tydnech pouzivani. Na zaver plet hydratuju timto kremem od Charlotte Tilbury (pres den) kde pridam jednu kapku tohoto oleje od La Mer. Tento trik jsem objevila nedavno diky express facial v Selfridges a hrozne se mi to zalibilo. Plet neni premastena a je pripravena k nanaseni makeupu. A samozrejme nesmim zapomenout na ocni okoli. Ja mam nejradsi hutnejsi kremy a tento krem od Guerlainu ma presne tu pravou konsistenci. Tohle je takovy zaklad z poslednich par tydnu, ale pod rukama mi opravdu projde tolik skvelych produktu. Takze snad jste objevili i vy neco, co vas zaujalo. This has to be one on my favourite lipsticks ever if not the most favourite. I bought it few years ago and it was my first ever lipstick by Charlotte Tilbury. I still love it the same. To be frank the whole collection of the Matte Revolution range has got so much to offer. This shade is stunning and in my eyes works perfect for day and night. It has been inspired by Grace Kelly and pinky coral shade creates perfect, neutral yet colourful lips to compliment variety of outfits. Tento odstin musi byt snad moje nejoblibenjsi rtenka. Byla to moje prvni rtenka od Charlotte Tilbury, kterou jsem si sama pred par lety koupila. A mam ji rada stale stejne. A vubec cela kolekce Matte Revolution ma nekolik krasnych odstinu. Tento odstin je inspirovany Grace Kelly a je to takova kombinace koralove a ruzove barvy. Co mam na ni uplne nejradsi je to, ze se hodi na den i vecer. Nosim ji casto v kabelce, protoze je takovy odstin, ktery vam dam jistotu a neslapnete s nim vedle. Christmas is getting so close and so many people may struggle what to get for the people they love. I firmly believe that fragrance is always a good idea. I know my entire family loves a perfume as a gift and that makes shopping for them much easier. The only issue I always have is that you cannot post perfumes out of UK so I usually use a Czech online shop Elnino for any purchase of this sort. It is amazing for people in Czech as they stock even brands like Jo Malone and to be fair not every town will have good stores stocking luxury perfume brands. It is super easy for anybody to order online whilst having cup of coffee at home. If you follow me on youtube you probably have seen my last Product empties video where I talked about my teenage years fragrance and that is Burberry weekend. This old classic scent will always bring memories and I will never get bored of it. And that is a small treat for myself to be honest. 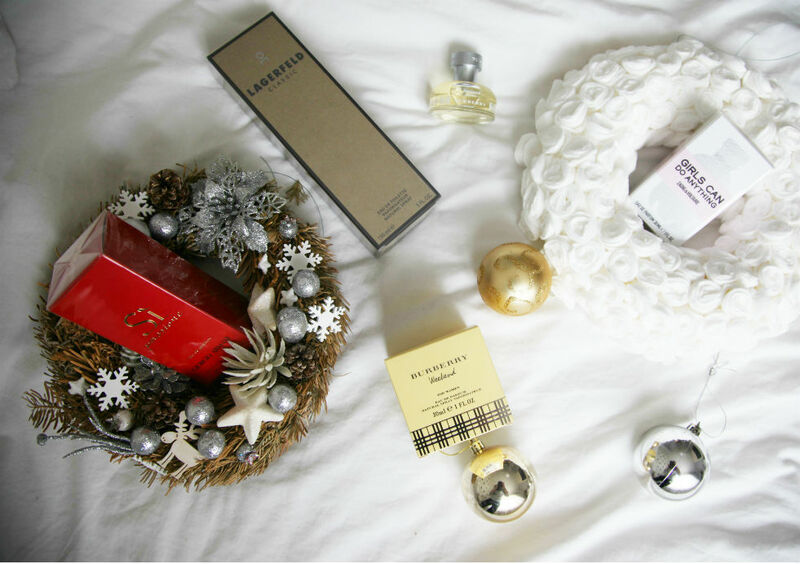 This year I went for combination of the traditional scents my family loves but in few cases I decided to experiment a bit. I chose this Karl Lagerfeld Classic which is a great value and also cool scent by Zadiq & Voltaire Girls can do anything. My mum fell in love recently with Giorgio Armani Si Passione which I don’t blame her to be honest. It is a fragrance I have myself and everything about it is wonderful including it’s bottle. Vanoce se blizi a protoze mam opravdu shon, snazim se letos byt opravdu o krok v pred a poridit darky s predstihem. Ja pevne verim, ze darovat nekomu parfem je ve vetsine pripadu trefou do cerneho. Alespon moje rodina miluje dostavat parfemy a tak vlastne nakupy na Vanoce jsou pro me v tomto smeru jednodussi. Muj problem nastava tehdy, kdyz chci parfemy z Britanie odeslat, protoze to je zakazane a tak casto pouzivam sluzeb e-shopu Elnino. Ceny jsou dobre a hlavne maji skvely vyber. A navic neprodavaji jenom parfemy. Sama vim, ze mensi mesta treba nemaji moznost luxusnich drogerii, kde byste podobne veci mohli koupit a napriklad maji na sklade i veci od znacek jako Jo Malone, ktere se daji poridit jenom v Praze ci vetsich mestech a tak se da vse objednat z pohodli domova. Jestli me sledujete na youtube, tak jste mozna videli posledni video o spotrebovanych produktech a jedna z mych srdcovek je klasika Burberry weekend. Je to vune mych pozdejsich pubertalnich let a prijde mi takova vesela. Mam k ni zkratka vztah a vzdy asi i budu. A tak jsem si poridila malicky flakon pro sebe a skvele je, ze se mi da i do mensi kabelky. Letos jsem se rozhodla vybrat pro rodinu jak klasiku tak trosku experimentuju a zaujaly me tyto vune od Karl Lagerfeld Classic a Zadiq & Voltaire Girls can do anything. Panska vune od Lagerfelda je cenove opravdu vyhodna a tak se urcite hodi pro ty, co nemaji na nakup darku velky rozpocet. Moje mama se v posledni dobe zamilovala do vune Giorgio Armani Si Passione, kterou mam doma i ja. Je to velmi luxusni svezi vune a mam rada i jejich cerveny flakon, ktery krasne vynikne. Fahrenheit by Dior has been my dad’s favourite for many years. To be fair I have tried to gift him other fragrances but he is always coming back to this. So no point to experiment anymore if that is what he loves. Another popular fragrance for guys is Calvin Klein Euphoria Amber Gold. I cannot forget to recommend the classic Chloe as that has always been high on my list of fragrances. I went through a period when it was my number one. Fahrenheit od Diora je vune, kterou ma muj tata leta v oblibe, je to klasika, k niz se porad vraci. Zkousela jsem mu v minulosti dat i jine parfemy, ale zadna ho jeste nedokazala odvratit od jeho klasiky. A tak se toho letos drzim. 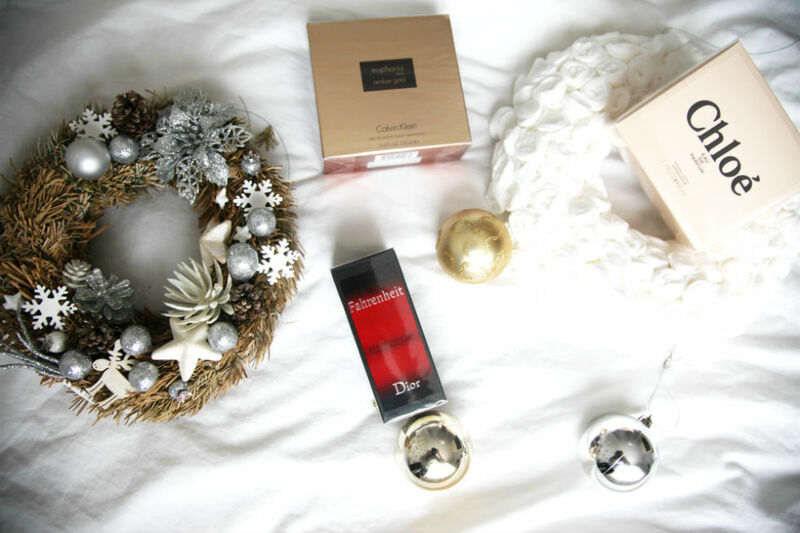 Dalsi oblibenou panskou vuni je Calvin Klein Euphoria Amber Gold. Ja jsem si take prosla obdobim, kdy jsem ve velkem pouzivala tuhle klasiku od Chloe a tu take mohu jen doporucit. Pokud mate pocit, ze darovat samotny parfem neni dostatecne, dobrym napadem jsou darkove kazety, ktere pusobi luxusne a opravdu jsou hezkym darkem. Zkratka kazdy si najde to sve a muzete se podivat i na darkove kosmeticke kazety a vubec cokoli. Preji vsem prijemne Vanocni nakupy. 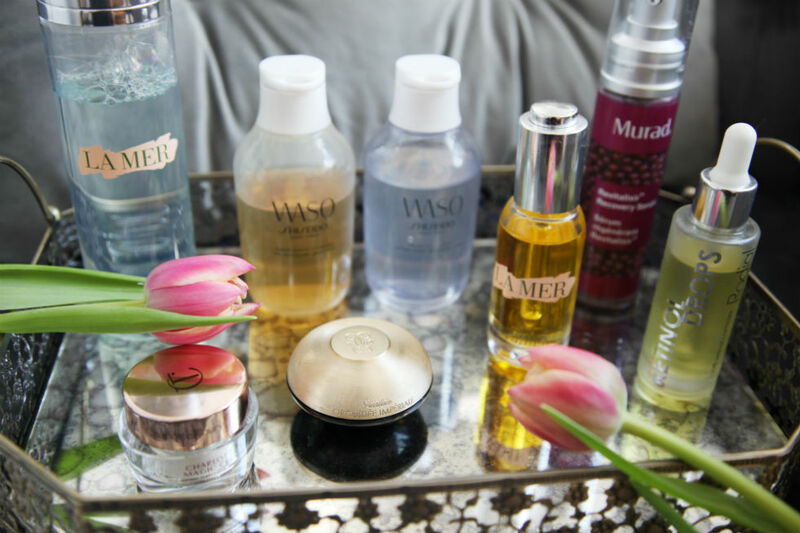 My latest beauty crush is…. If you have been following me on my blog and other channels for a while you know I love anything beauty related. I love makeup and skincare and experimenting and pampering is part of my job and my life. It has been a while I shared a beauty post with you as majority beauty related content is published on my Instagram and my Youtube. So I wanted to introduce my latest beauty crushes as there are so many fabulous new things I fell in love with recently. Under your skin body lotion is currently on my side table as I love the smell so much that if I feel my arms need more touch up I want to make sure it is close enough. You can buy it on Oxygen Boutique which also has got amazing fashion section (yes lot of things on my wish-list). Lift Activ Micro Hyalu Patches by Vichy are just miracle. It has been only few days since I attended a launch of new products from this range but I was dying to try these. My son wakes up very early and the work has been crazy busy so you can imagine my under eye area. I have never tried anything similar as this product simply stays on under your eyes whilst you sleep and there are little spikes that contain hyaluronic acid that is slowly released and absorbed in your delicate eye area. Yes it is a winner. Another fabulous product and brand I have discovered is Lisa Franklin and Phyto Gel Wash and Night Treatment became quickly my favourite. The Wash feels so delicate yet it cleans so well and preps my skin for applying serum and cream. The Night treatment is so light and skin looks fantastic each morning when I use it. Shiseido Treatment Softener stole my heart. I just love this brand so much and they never disappoint me. Everything about this products screams Shiseido…the smell, the texture of it and the quality. It is part of my routine pretty much every day. Jestli me sledujete uz delsi dobu, vite, ze miluju peci o plet a makeup. Bavi me zkouset novinky, menit a testovat nove vychytavky ve svete krasy. Je to soucast me prace a meho zivota vubec. A tak po delsi prinasim clanek, kde vam chci predstavit par veci, ktere me ted hodne bavi a nemuzu se jich tak nejak nabazit. Telove mleko Under your skin momentalne stoji na mem nocnim stoliku, protoze jsem si zamilovala jeho vuni. A kdyz mam pocit, ze potrebuji natrit moje ruce a paze, chci ho mit pobliz, at nemusim chodit do koupelny. Dalsim objevem jsou Activ Micro Hyalu Masky pod oci od Vichy, ktere me opravdu dostaly. Je to teprve par dni, co jsem byla na predstavani novych produktu z teto rady, ale tim jak Liam vstava brzo a mam toho ted hodne, me oci opravdu trpi. A rozhodla jsem je vyzkouset hned v den, kdy jsem je nasla v goodie bag. A je to takovy maly zazrak. Nikdy jsem obdobny produkt nezkousela. Jsou to masky, ktere krasne drzi pod ocima a muzete s nima spat a v nich jsou napustene jakoby male jehlicky, ktere do rana postupne vpousti do jemne kuze kolem oci kyselinu hyaluronovou. Lisa Franklin je znacka, kterou jsem objevila diky nedavne navsteve jejiho salonu a okamzite jsem si Lisu zamilovala, je to prijemna dama, ktera zalozila uzasnou kosmetickou znacku. Nejvice me uchvatil Jeji Gel Phyto Wash a Jeji Night Treatment. A jak vite jsem milovnik znacky Shiseido, prakticky me nezklamal zatim zadny jejich produkt, ale tento Shiseido Treatment Softener je uz pravidelne soucasti me pece o plet. Vse prezentuje znacku tak ja ma jestli je to kvalita, textura ci vune. Another Shiseido product that I have to mention is Waso Beauty sleeping mask. It really reminds me a product from classic Ibuki Shiseido range and I am so glad they brought this to the market. It is equally fabulous and I love using it. 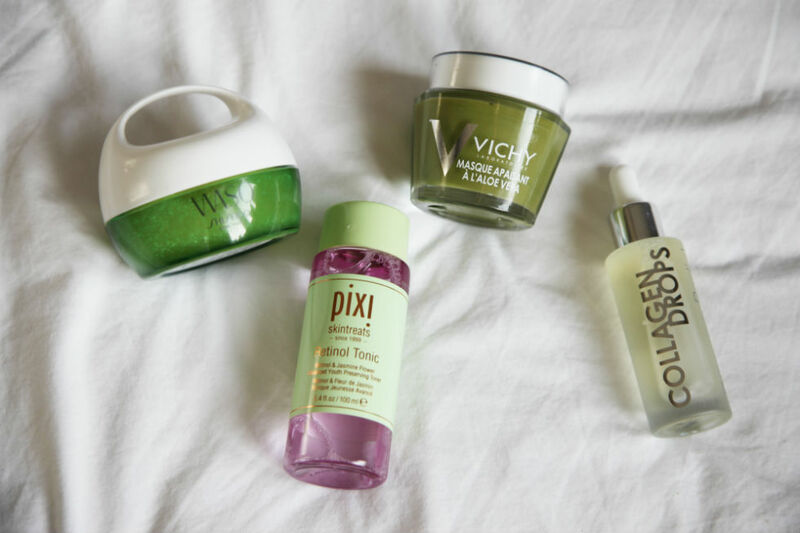 You know my passion for Pixi Glow Tonic and that also appeared in my latest Product Empties video. However I think that Retinol Tonic is perhaps even better. I have been using it for few weeks now and start to see difference to my skin already. I love products with retinol in general so thumbs up for me. Vichy Aloe Vera Mask is a perfect on the day when you feel your skin needs a quick pick up but also sooth. Whether you had stressful week or just feel your skin is a bit irritated I can highly recommend this. I started to include Rodial Collagen Drops quite regularly in my makeup routine as they really prep the skin for applying foundation and at the same time provide collagen for your skin. I feel the skin is very plump after even first application. It is a fabulous product that quickly became a must for me. Dalsim produktem od firmy Shiseido, ktery musim zminit je urcite Waso Beauty sleeping mask. Je to novinka z rady Waso a hrozne mi pripomina klasickou Ibuki masku, kterou jsem zboznovala. Nanasi se jako posledni krok pece o plet na noc a je opravdu skvela. Jestli me sledujete uz nejakou tu dobu, vite ze muj top produkt od znacky Pixi je urcite jejich Glow Tonic. Ted se mi ale dostal do rukou Retinol Tonic a ja obecne produkty s retinolem miluju. A myslim, ze toto tonikum se pomalu dostava na predni pricky. Jestlize mate pocit, ze prochazite stresem a jde to videt na vasi pleti a citite, ze pokozka je hodne iritovana, tak muzu doporucit Vichy Aloe Vera Mask. Je to prijemna zklidnujici maska a i cenove je velmi prijatelna. V posledni dobe jsem zacala pouzivat Rodial Collagen Drops a to hlavne pred nanasenim makeupu. Tyto kapky obsahuji vysoke mnozstvi kolagenu a nejen ze jej dodaji vasi pleti, ale opravdu po pouziti makeup uplne jinak vypada a pokozka je krasne hydratovana.